We want your views on a car club in Banbury. We have launched a 2 min survey to gauge interest in a car share scheme for the town. Nearly a quarter of Banbury homes don’t have a car, and it can sometimes be difficult to fit schedules around public transport, especially for those little trips to the supermarket, or to see a friend in a local village. A car share scheme could offer a solution to those who drive, but don’t need to have a car all year. They are run to give people access to cars that don’t have them, or save people running a car all year, for a few journeys, saving them hassle and money. It may also save having a second car which is only occasionally needed. 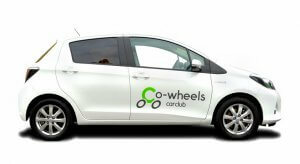 You would sign up as a member and pay a small monthly fee (around £5) then you can book the car as and when you like, via an easy online service. Similar car share schemes run in Oxford and Swindon and all across the country. Hassle free – No MOT’s, cleaning, insurance or tax to worry about, it is all taken care of.